By now, most of us are aware of the alarming data regarding the percentage of the population that is overweight or obese. This is the reason why most people are paying attention to their weight and want to identify ways to reduce its prevalence. Even the most skeptical people want to switch gears and focus on ways to stay fit and enjoy life. Unfortunately, the ultimate goal may be obvious, but the road leading to it is often murky. We are bombarded with so much information; we are being pulled in so many different directions, that at times we feel trapped in a maze. This is why I decided to write this book Goodbye Obesity. 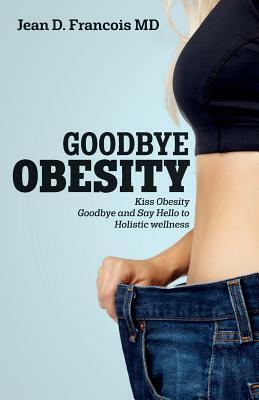 The goals of Goodbye Obesity aim at providing the following: A)The various causes for overweight and obesity, and why they have reached such a proportion B)Simple down to earth steps to address them individually and collectively. C)Tools for each reader to determine where he or she stands D)Ways and means to overcome the plateau E)Ways to keep the weight off and stay healthy and fit. Overall, weight control remains a serious challenge for all. I want each reader to know what is at stake and to empower him or her to take the necessary actions to engage on the road for a healthy and long life. In order to reach such a goal, this book is easily accessible and affordable. I would like all readers to be able to change the way they look and feel. Let this be your kick-start to health. Finally, the success of this book depends not only on the number of readers, but on the number of people who choose to act on what they know, practice what they learn or are reminded of, and are willing and ready to fight the winnable fight to grow old healthy and be fit. Ultimately, every one of us is in charge of our health! I know that together we can do it! I thank you and I congratulate you in advance!